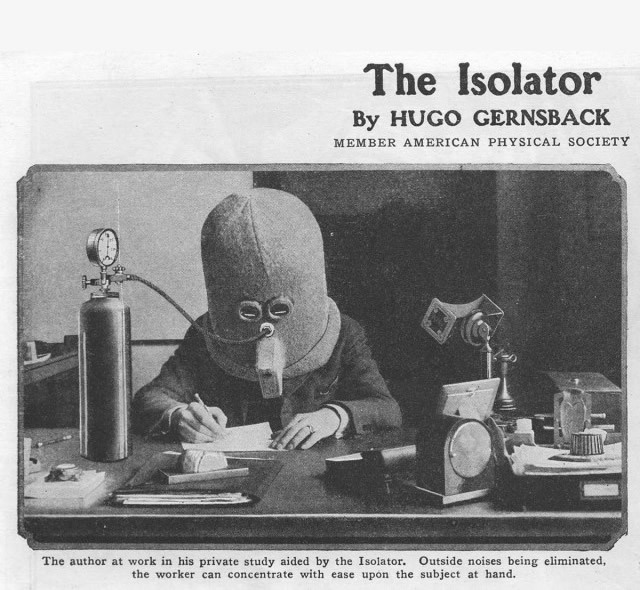 It may look like an early Oculus Rift prototype, however “the Isolator” is a unique productivity device invented by the science fiction pioneer Hugo Gernsbeck. 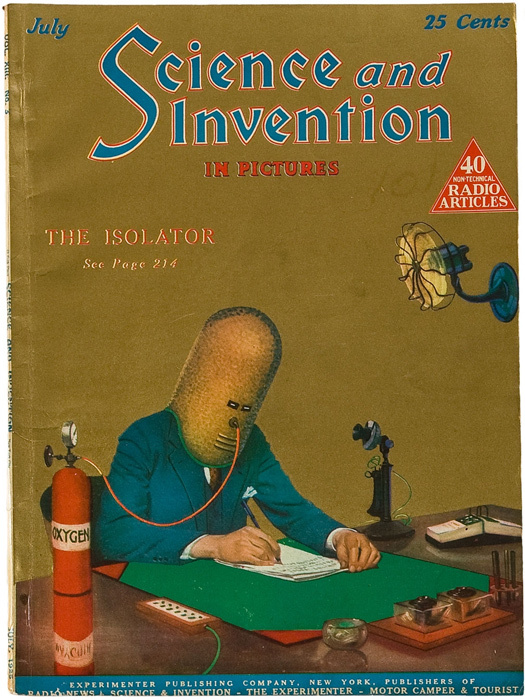 Launched in 1925 “the Isolator” is a bizarre helmet that encourages focus and concentration by rendering the wearer deaf, piping them full of oxygen, and limiting their vision to a tiny horizontal slit. 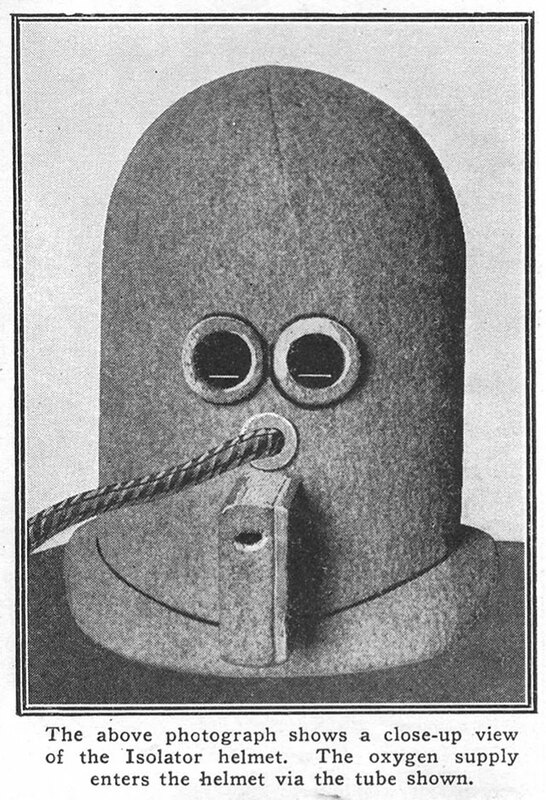 As far as we know Facebook haven’t tried to buy the rights.